Eazy Entertainment Australia supports the promotion of Adelaide’s local artist, specially local music artists. Every Tuesday of the week, one local artist is featured in the Eazy E’s homepage and will continue to appear in the next seven days. Eazy Entertainment Australia has a huge respect for all genres of music and helps showcasing the local talent of the state to promote the arts within the community. We look forward in building music relationships with you. Known for his style of playing rock and roll and blues music, Dave Hole is an Australian slide guitarist and is Eazy Entertainment's Artist of the Week. 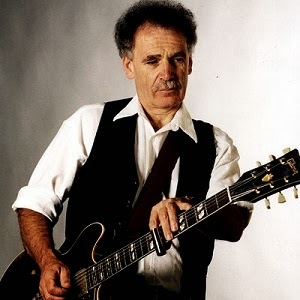 According to Australian rock music historian, Ian McFarlane, Dave Hole "is the most acclaimed blues guitarist Australia has ever produced ... courtesy of his unorthodox slide guitar style, his rousing live shows and a series of hard-rocking, roadhouse blues albums ... yet it took two decades of slogging around the Australian touring circuit before the local industry sat up and took notice". David Robert "Dave" Hole was born on the 30th of March 1948 at Heswall, Cheshire, United Kingdom. When he was four-years-old his family moved to Perth, Australia. He became interested in blues music after hearing a school friend's Muddy Waters' album when aged six-years-old. At twelve-years-old he received his first guitar and started to teach himself due to lack of availability of teachers. Hole is left-handed and, after breaking a finger in a football accident, he played the guitar right-handed. "I had to have a cast on it. So I came up with this idea, just while I was recuperating, of jamming the slide on my index finger and hanging it over the top of the guitar – quite an awkward sort of style, really. It took me about three months before this cast came off. And over that time it started to feel good". Two of his albums have appeared on Billboard Top Blues Albums, Steel on Steel (1995) peaked at No. 13 and Ticket to Chicago (1997) reached No. 15. His sixth album, Under the Spell, appeared in April 1999 and won "Best Blues & Roots Album" at the ARIA Music Awards of that year. 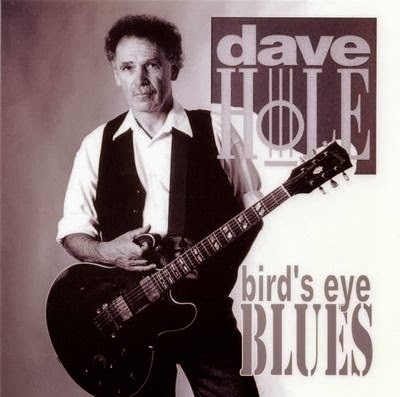 Dave Hole“There’s no more explosive Blues guitar player in the world.” – ESQUIRE, U.S.A.
"No one on the current scene plays with the incendiary power he does” – ASSOCIATED PRESS. “Magnificent, staggering, almost beyond belief. Utterly Blues approved.”--“GUITAR PLAYER” MAGAZINE, U.S.A.
“…..a one-way journey to sonic joy” – LIVING BLUES, USA. “Slide guitar fanatics will have their brains blown out …. prepare to hear your jaw hitting the floor.” – BILLBOARD, U.S.A.
"….. he reigns supreme. His electric slide is without peer" - VINTAGE GUITAR, U.S.A.
After 8 previous releases and innumerable world tours, Dave Hole is now widely regarded as one of the all-time slide guitar greats, with accolades from around the globe and a growing world-wide fan base. With his furious energy and amazing "over-the-top" style of playing, Dave Hole has carved his own place deep in the pantheon of slide guitar greats. His performances are drenched in waves of fret-melting guitar riffs that infuse the spirit of blues and rock slide legends such as Duane Allman, Johnny Winter and Elmore James. "Nothing interferes with Hole's searing guitar when he is in full flight," said Rolling Stone. Guitar World agreed, saying, "Hole produces solo upon blistering solo with slide work that is exhilaratingly relentless."